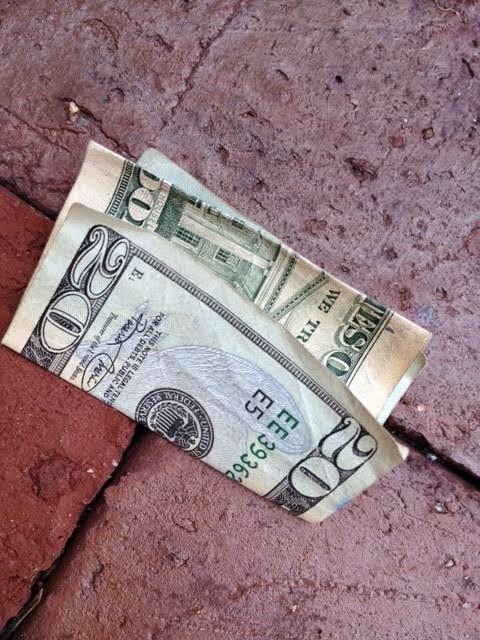 What would you do if you found $20? This isn't some existential question I've been waiting to ask a mountaintop sage. I actually did find a lone $20 bill on North Street in Hingham yesterday and I've been wondering what to do with it ever since. Granted you can't change the world with $20 nor can you enter the monetary stratosphere of the 1%. But I was curious about what I could and would do with my new-found windfall. The first thing I did, of course, was pose the question to my friends on Facebook. 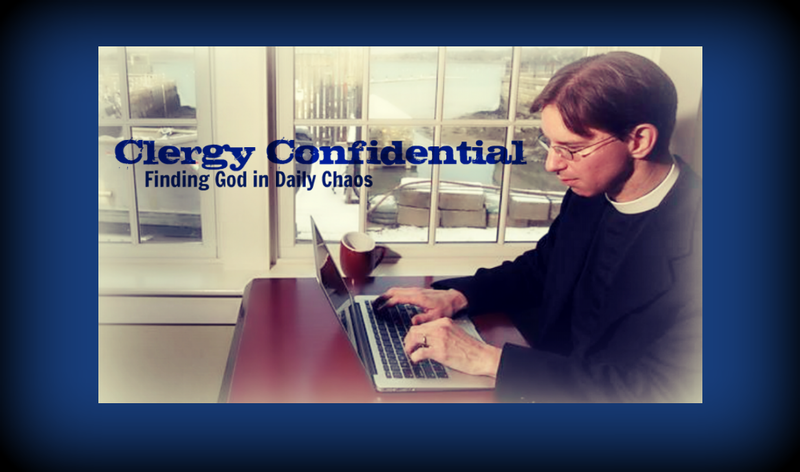 I got lots of advice including but not limited to: save it, invest it, buy 20 lottery tickets, bury it, buy the family ice cream, give it to charity, give it to the church, give it to Bryna, buy pizza, and take a parishioner out to lunch. Well, since I'm on vacation anyway, I decided to use the afternoon finding ways to spend it around town. The first thing I did was, naturally, head to Red Eye Roasters and buy myself a cup of coffee. Specifically a steaming mug of black coffee from beans grown at the Java Kayumas Estate in Indonesia. Delicious. That left me with $17.50. After putting $1.50 into the tip jar for some of the best barristas this side of the Charles River, I was left with $16. Now, I'm not big on the whole concept of "paying it forward" since I don't really understand what it means and I'm pretty sure it's a phrase coined by Oprah, but I gave Julia behind the counter a five dollar bill and told her I'd pay for whoever came in after me. Soon after, a guy entered the shop and was told his coffee was paid for. 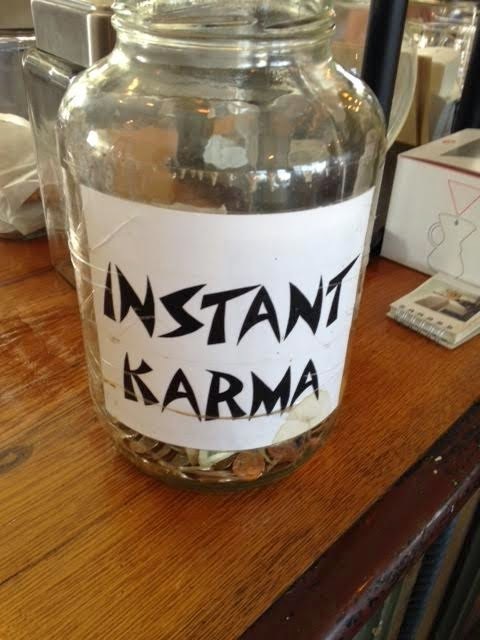 I think he ordered some fancy drink since there wasn't any change left over and if there was I trust it ended up in the "Instant Karma" tip jar. Fortunately, Julia didn't out me -- I wasn't doing this to be thanked and acknowledged. Anyway that left me with $11. Not as flush as when I entered the coffee shop but still playing with house money. After doing a little writing at Redeye, I stopped by the local grocery store to pick up a small flowering plant for Bryna that set me back $6.36 with tax. Then I encountered a group of kids selling lemonade so I picked up a dixie cup full of over-sweetened pink liquid for .55 cents. I was refreshed; they were delighted. I was down to my last $4.09. 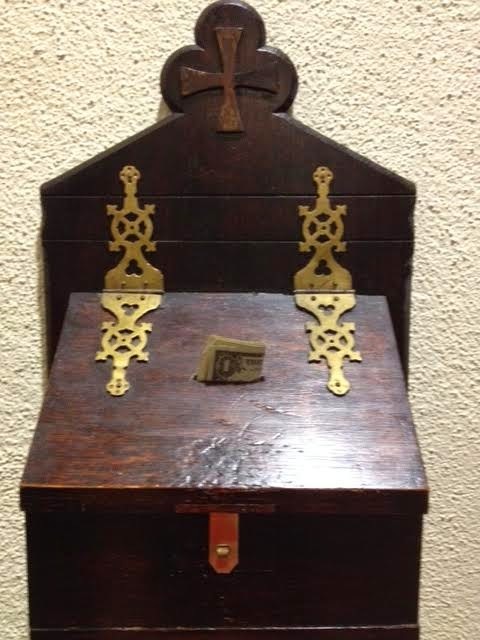 A stop at the "poor box" at church where I dropped in two bucks in accordance with the Biblical concept of the 10% tithe left me with a whopping $2.09. Let's face it, $2.09 ain't what it used to be. But I had a final thought: I'm taking the family out for ice cream. So Bryna, Ben, Zack, and I headed down to Nona's for a quick scoop after dinner. I told them they had to stick to the "kiddie" size -- which actually isn't that small -- but, sure, get the sprinkles. In the end? I lost $5.81. But I had a great day and it was totally worth it. The little things in life really do make a difference -- which is fortunate since that's often all we have to offer. I'm convinced that generosity begets generosity and there's no reason we must wait to stumble upon a small treasure to remember this. Very nice! I've been posting recently the concept of giving, and it really is nice to see that others get it too! Thanks for sharing, Tim! Nice, Fr. Tim. 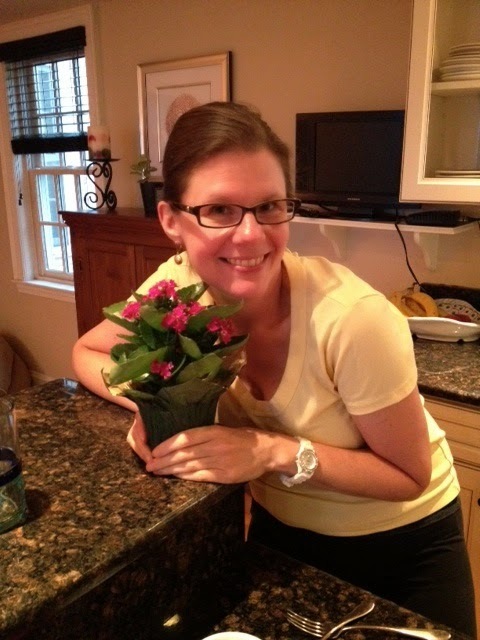 Great pic of Bryna with flowering plant - she should use it as her profile pic on Facebook!